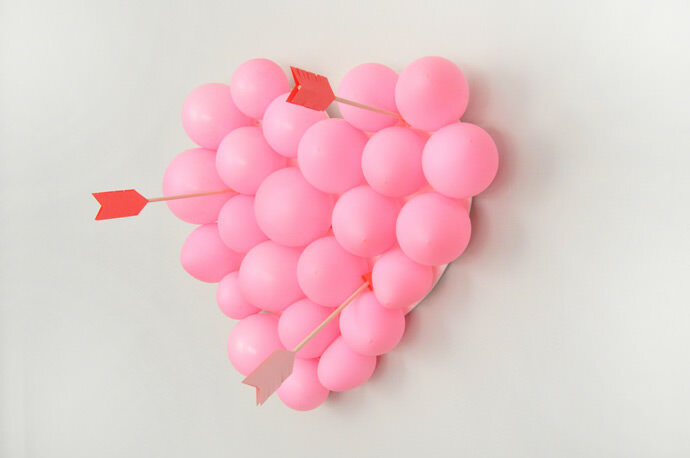 Here’s part two of our Valentine’s Day Carnival: heart-shaped balloon pop! 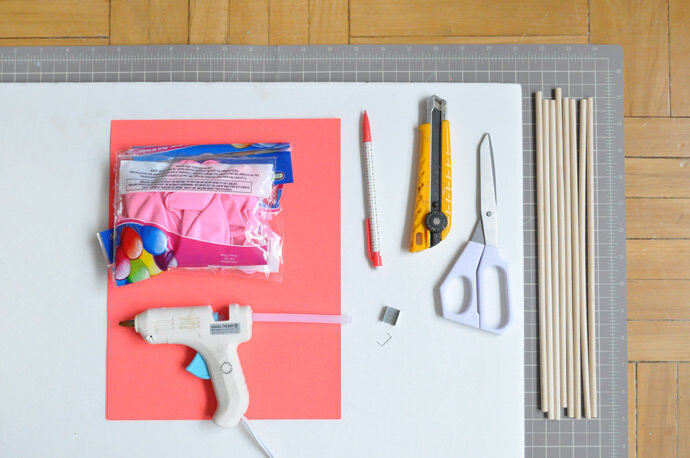 This game is super simple to make and you barely need any supplies. 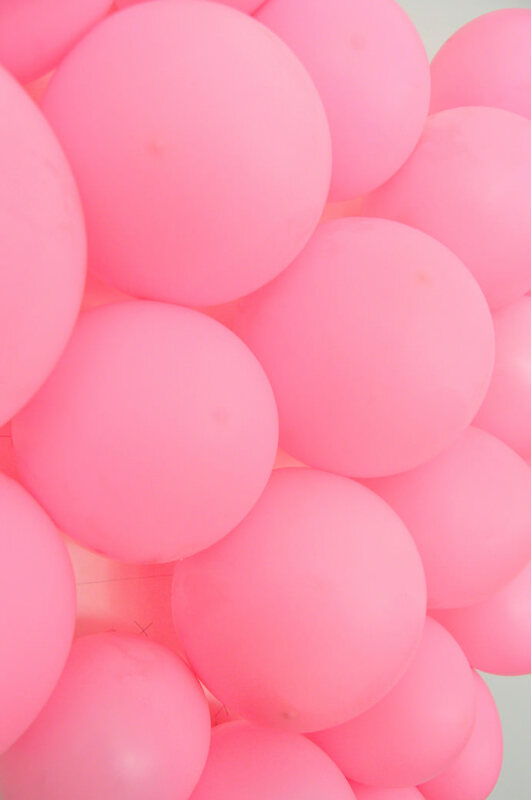 Heads up – make this game the same day you plan on playing it to avoid the balloons shrinking overnight. Make sure to play this game in a room with lots of space, or if you live in a warm climate play outside! Cupid’s arrows can be sharp, so safety first! 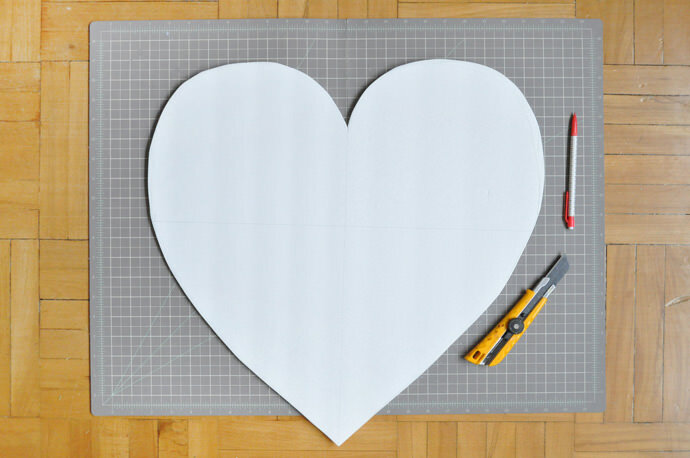 Draw a heart onto the foamcore and cut out using the craft knife. Starting from the middle, cut small X’s into the foamcore. 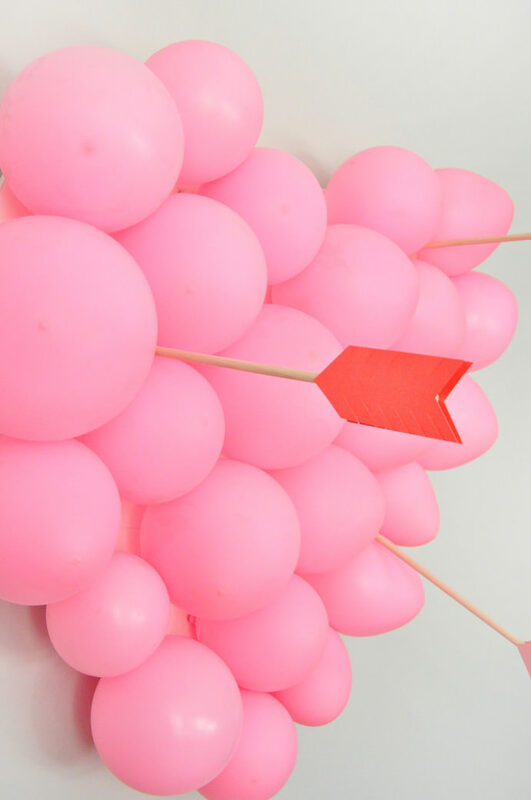 Blow up a balloon and shove the knotted end through the X you just cut. 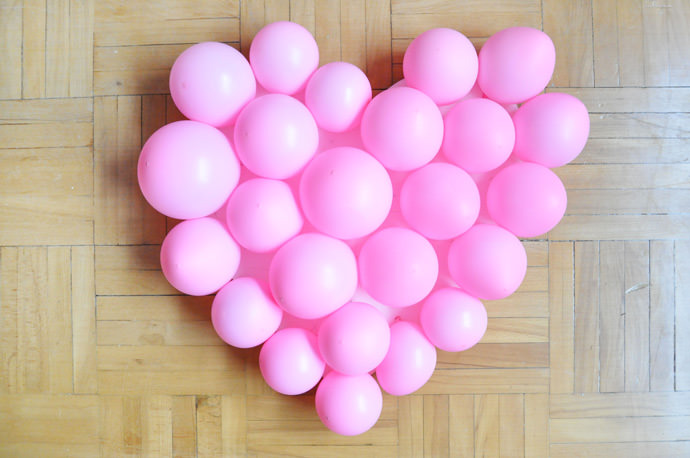 Repeat this process, keeping the balloons touching each other. 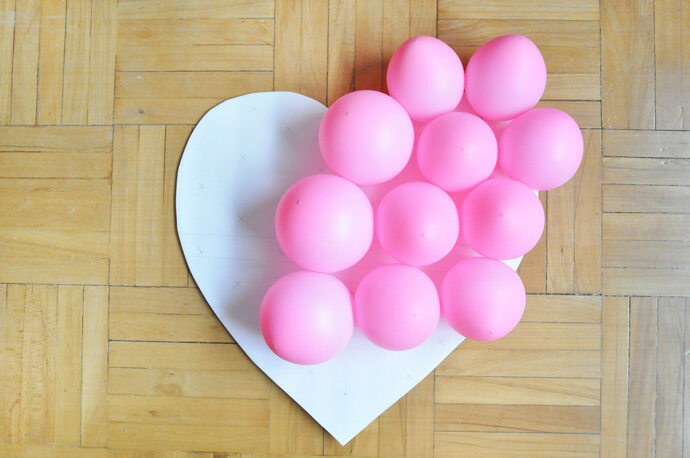 Cover the foamcore heart with balloons. 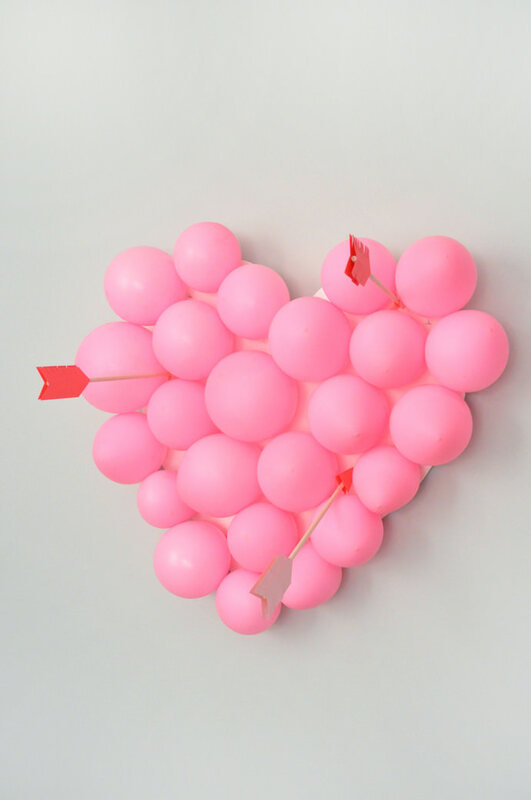 Once done, take a step back and rearrange the balloons/holes if necessary. 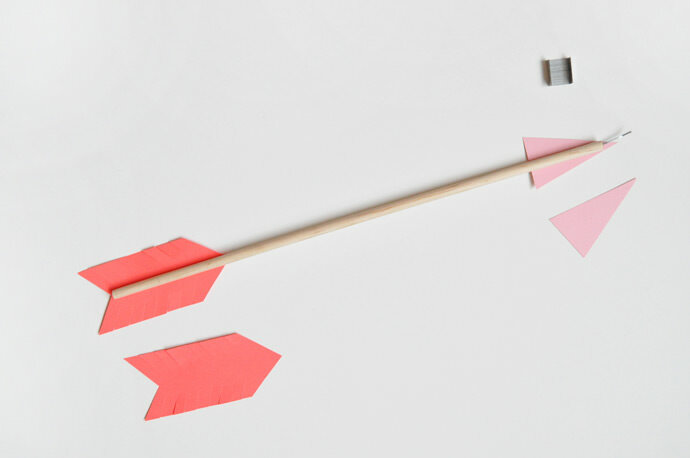 To make the arrows, carefully straighten a staple and hot glue to the tip of a wooden dowel. Cut a two tails and two arrowheads out of cardstock and hot glue onto the ends of the dowel. 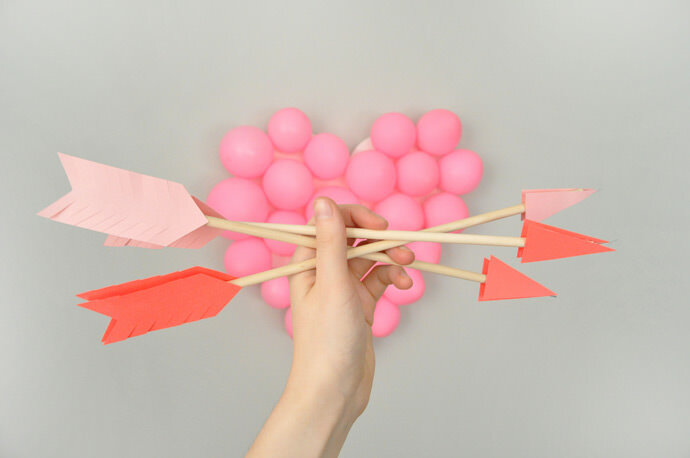 Repeat and make several arrows. 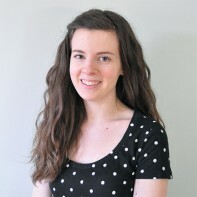 (NOTE – instead of staples, you could try using wooden skewers, paper clips, etc. 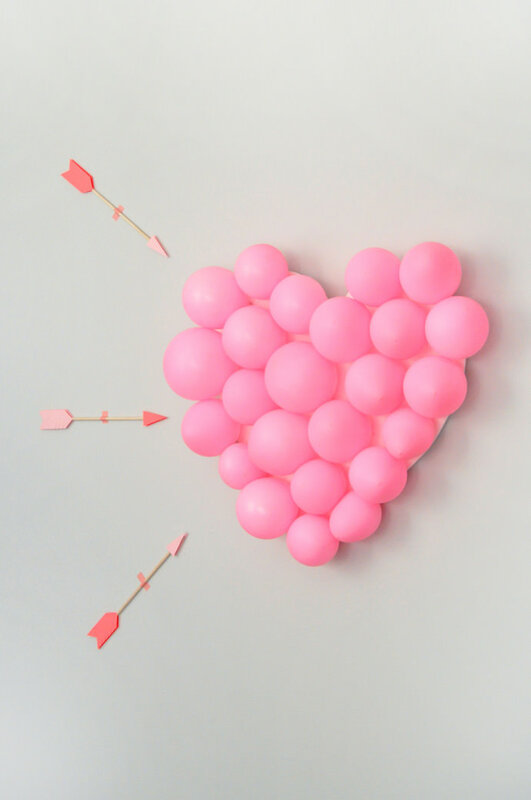 The arrow’s tip needs to be pointy enough to pop a balloon, but keep in mind the age of your players (safety first!) and if you’re playing indoors or outdoors (you don’t want to damage any furniture or scratch paint off the walls).